Kaon Interactive, the leading provider of 3D marketing and sales applications for global B2B brands, is poised for significant global user growth in 2018 with the recent addition of 11 major new clients. Kaon’s transformative applications allow B2B companies to more effectively communicate a product or service’s differentiated value to prospects through interactive experiences across the buyer’s journey. These solutions, in turn, help to drive increased sales and reduced marketing costs. Lenovo – manufactures enterprise PCs, tablet computers, smartphones, workstations, servers, electronic storage devices, IT management software and smart televisions. Siemens Building Technology – provides automation technologies and services for commercial, industrial and public buildings and infrastructures. Ricoh – multi-national imaging and electronics company. Bruker – manufacturer of scientific instruments for molecular and materials research, as well as for industrial and applied analysis. Akamai – content delivery network and cloud services provider. Georgia Pacific – one of the world’s leading makers of tissue, pulp, paper, packaging, building products and related chemicals. Mellanox – leading supplier of end-to-end InfiniBand and Ethernet interconnect solutions and services for servers and storage. Hexagon Positioning Intelligence – providing accurate positioning and correction solutions worldwide for land, air or sea. Year-over-year, Kaon Interactive has seen a double-digit percent increase in sales, a 122 percent increase in average weekly users of its interactive applications and a 37 percent increase in the number of 3D virtual product model interactions per week. Kaon Interactive’s applications are uniquely beneficial because they are created once and can be deployed everywhere. 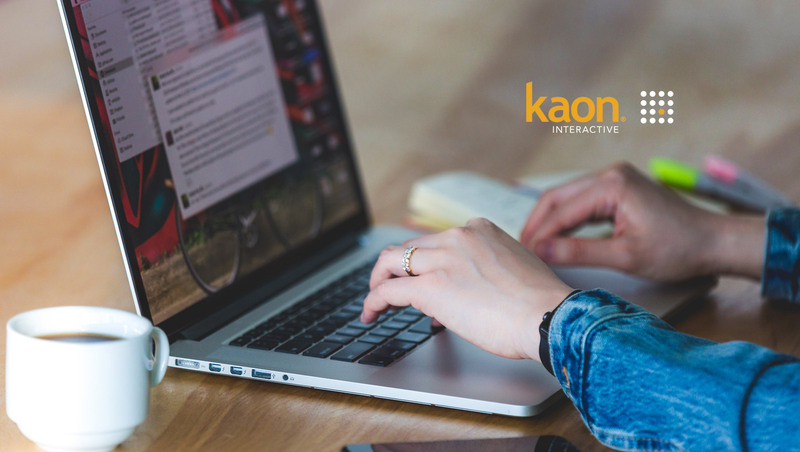 Currently available on devices running iOS, Android, MacOS, and Windows, Kaon Interactive’s solutions are used by sales teams and marketers in nearly 40 countries.